COMMENT | The PSM is disappointed though not too surprised by our prime minister’s statements as reported in The Star. 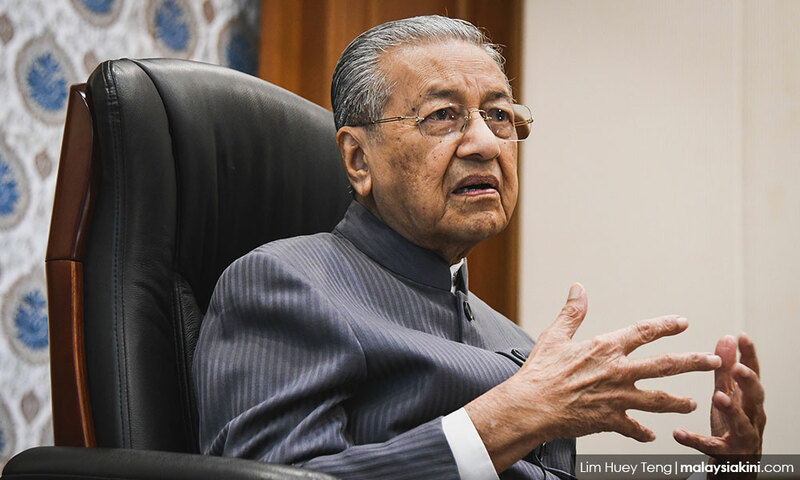 Dr Mahathir Mohamad identifies poverty as a “Malay” problem and does not seem to appreciate that there is significant socio-economic differentiation within the Malay community. This approach to handling poverty led the BN to make two major mistakes over the past 60 years. Firstly, the BN became blind to non-Malay poverty, and this has generated much resentment in the poor among the Indians and Chinese who should have been included in the affirmative actions implemented for the Malay poor. We would now be a much more integrated and harmonious nation had this been done. The second major mistake, the failure to recognise class differentiation within the Malay community, led to preferential treatment for Malay businesspersons which in some sectors led to serious problems for the B40 (about 75 percent of whom are Malays). One good example is the excessive provision of permits to Malay-owned labour-importing agencies which led to the flooding of the labour market by foreign workers (currently five to six million) and the depression of the wage floor for Malaysians in the B40. Many businesspersons and politicians became rich as RM10,000 could be squeezed from each foreign worker imported into Malaysia. But Malays and other Malaysians in the B40 have been left facing under-employment and a labour market where they have little bargaining power. Another example is the awarding of cleaning and security contracts in schools, government hospitals and in other government buildings to private Malay contractors. This has condemned more than 150,000 contract workers, largely Malays and Indians, to a life of insecure employment (as contracts require to be renewed every three years), low wages and minimal social protection (no pension, no housing loan, no IJN cover, no retrenchment benefits if not re-employed at end of contract, etc). An effort to inculcate Malay entrepreneurs has had a very adverse effect on the workers employed by these entrepreneurs. The Pakatan Harapan government must learn from this mistake and avoid using the emotional argument about Malay poverty as the excuse to reward T20 (top 20 percent) Malay individuals with contracts, share allocations and privatisation deals. Class differentiation within the Malay community must be recognised explicitly and each proposal to improve the economic status of Malays should be analysed for its differing effects on the different social strata within the Malay community. A good example is Mahathir’s (photo) stated intention to privatise successful GLCs to Malay individuals so that equity ownership is more racially balanced. How would this be of benefit to the B40 Malay? If the successful GLC remained under government control, the profits derived from it could be used to fund affirmative action programs for B40 families. Also, as an example, the government could request these GLCs to pioneer childcare provision and implement a higher than minimum wage for its lowest level of employees. But once it sells them off at bargain rates to Malay individuals, the government will lose control over these GLCs. So whose interests are being served by this privatisation exercise? These are questions that should be raised and debated by the other leaders of Harapan if we wish to avoid policies that favour the Malay elite but adversely affect the Malay B40. However, the PSM agrees that there is a need for ethnically targeted government intervention in the SME sector which still remains the domain of non-Malays. There are many entry barriers in the form of knowledge, technology, sources of components and markets, and Malay businesspersons face difficulty in establishing themselves in this sector. The government could help in terms of credit, training and the provision of markets through vendor programs implemented by the GLCs (another reason for keeping GLCs under government control) and government agencies including the ministries. But this assistance should come with strict conditions – that it is given to develop capacity in Malay businesspersons and will be withdrawn if misused to generate “rental” income through Ali-Baba deals. Looking objectively at the past 60 years, we haven’t done too badly as a nation. We have to admit that BN policies have taken us some way along the road towards a more racially balanced society. There are now many more Malays who are graduates, professionals and in the M40 as compared to when we achieved independence. And we are a lot more stable as a society as a result of that. Our rural areas are now better served with roads, schools, water supply and health care facilities, though a lot of work still needs to be done in Sabah and Sarawak. There has been progress, and we should acknowledge it. 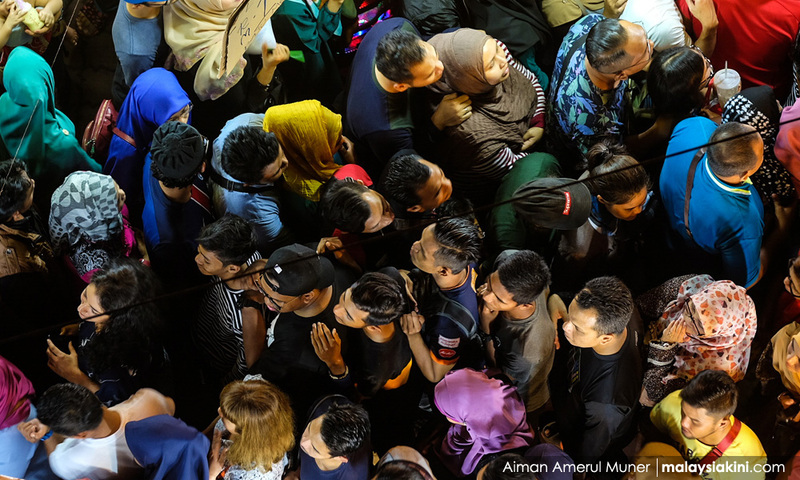 If Harapan wants to move us further along the road towards a society where economic status and race are not linked, it has to revamp approaches to make sure that all Malaysians in the B40 are recipients of affirmative action, that programs to help the T20 Malays do not disadvantage the B40, that effective programs are implemented to build the capacity of Malay SMEs, that there is a better ethnic balance within the civil service and that neoliberal thinking does not obstruct the creation of a comprehensive welfare net for all Malaysians. And it is the duty of all of us to find out about the economic problems being faced by the poor from ethnic communities other than our own and advocate for a resolution of their problems. We all need to think as Malaysians if we wish Malaysia to move forward as a harmonious nation. DR JEYAKUMAR DEVARAJ is PSM central committee member and former Sungai Siput MP. The views expressed here are those of the authors/contributors and do not necessarily represent the views of Malaysiakini.